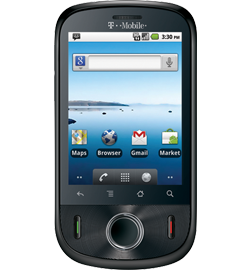 The deal of the week is T-Mobile's Huawei Comet Android phone on sale at BestBuy.com (online only) this week for a mere $29.99. The regular price is $99.99. Update: the sale seems to have ended early and the price is back up to $99.99. Although it's a thoroughly low end Android phone, it works well for what it is and is one of the few T-Mobile prepaid Android phones where the WiFi hotspot feature hasn't been crippled. Plus where else are you going to get an Android phone for thirty bucks outright. The Comet can be used with any T-Mobile plan prepaid or postpaid. NET10 (online only) Free overnight shipping on all phones $19.99 and above. Free $15 Gift Card with purchase of any Android phone. Straight Talk (online only) Free overnight shipping on all phones. Free reconditioned LG 401G flip phone or DMFL Samsung T301G with purchase of a $19.99 60 Minute card. Best Buy is still showing the Comet at 99.95 - not 29.95. Do you have correct link to special price? The deal of the week is T-Mobile's Huawei Comet Android phone on sale at BestBuy.com (online only) this week for a mere $29.99. The regular price is $99.99. That's the correct link, it looks like BestBuy ended the sale early. keep up the great work on these deals!